Don’t try this at home. Actually, don’t weigh your food anywhere. Ever. It’s a diet obsessed world out there. It’s sad, really, how much our society focuses on looks and thinness. Working in the eating disorder field I’ve grown to hate the “D” word. But this is not a blog about the pitfalls of our society. No, this is a blog about finding the balance between managing ones weight for sports performance and not sacrificing ones mental and physical health in the process. There are many athletes with unhealthy and disordered eating habits and athletes are thought to be at a higher risk for developing an eating disorder. This is not surprising seeing as the reality is that weight does, to some extent, affect endurance sports performance. Some runner’s talk about their racing weight as if it was a holy grail that they would do anything to obtain. You hear stats like “your mile time improves by 10 seconds for every pound lost”, or some crap like that. Cyclists talk about how every pound lost improves power output by so much. I don’t remember the specific statistic because I don’t care. I mostly ride my bike because it’s fun. It’s important not to lose sight of that in the process of trying to lose weight. You probably started running or riding because it was fun too. Sure there is a correlation between weight and performance-to some extent– but I challenge any athlete to cut off their hand (that weighs about a pound right?) and suddenly drop 10 seconds from their mile time! Okay, I kid, but seriously, the point is that the mere act of losing weight will not necessarily guarantee that your performance improves. Lose too much weight or lose weight too quickly and your performance will suffer. And you might lose your love for the sport in the process. If you want to lose weight solely because you feel you don’t look like the stereotypical runner/cyclist/fill in the blank kind of athlete then stop right there. Athletes come in all shapes and sizes and I am a firm believer of not modifying ones diet and exercise in order to change how one looks. If your only motivation for weight loss is because you think you “have” to or because you want to look better in your underwear then this is probably not the blog for you. Trust me it’s not worth risking falling into disordered eating or even a full blown eating disorder. I’ll even admit to my eating disorder patients: sure you can modify your nutrition and exercise to manipulate your body to look however you want, but at what cost? What kind of life would that be? How about working on body acceptance instead of weight loss? Losing weight for health or sports performance is different, but even those motivations can be taken too far. It’s not always easy to know when an innocent desire to drop a few pounds to become a better athlete starts to become an unhealthy obsession with weight. As an athlete AND an eating disorder professional, I am acutely aware of the issue and believe that I have developed a pretty healthy and moderate approach to the subject. I truly believe that if you focus on training right and eating well your weight and body composition will take care of themselves over time. However, if you feel that some weight loss is truly justified and want to get a jump start read on to learn how to do it as healthfully (for your mind and body) as possible. I could probably write a book on this topic (maybe I will someday…..) but below are some of my top tips. Keep a food journal. But not all the time, especially if you know this tends to become a compulsive “diet” activity for you. Keeping a food journal for a few days will give you a picture of how much you are getting from all of the food groups mentioned above. Once you know your baseline, you can work on eating more from some of the food groups, and possibly less from others. Keeping a food journal can also help you keep tabs on mindless eating and boredom eating, which are common problems. A handful of food here and there might not seem like a lot in your head, but it can add up quickly, and having it on paper helps put it in perspective. Keep an eye on portions. Most people have no concept of portions, and it’s not surprising given the ridiculous amount of food we are served at some restaurants. Note: a giant plate of pasta does not count as one serving. One grain’s worth of pasta is actually only ½ cup- the size of ½ of a baseball. Focus on what you want to eat more of, not less. The answer will probably be vegetables and fruits, as most Americans don’t meet the minimum recommendations of 5-9 servings/day. I think that it’s mentally more helpful to focus on what you want to eat more of, instead of what you want to eat less of, since telling yourself you can’t have something will likely make you want it more (blame human nature). Plus, I find that when I’m able to up my vegetable intake I naturally do not have room for, or crave, the less than healthy foods I typically like (desserts and wine mmm!). Choose foods that don’t come in a package more often than not. You’ve also probably heard that it’s best to shop the perimeter of the grocery store. That’s because that is where most of the whole foods are, like fruits, veggies, meats, dairy, and to some extent whole grains. There are plenty of healthful foods that come in packages though, so don’t avoid the inner aisles completely. When buying packaged products aim for ones with very few ingredients (i.e. if you are buying brown rice the ingredient list should look like this- ingredients: brown rice). Don’t make food rules. Then you fall into the good food, bad food trap and feel like a bad person when you eat a “bad” food. Take the judgment out of eating. There are no “good” foods and “bad” foods. Just foods. Some foods you should eat more often and some foods should be occasional treats. Don’t skip breakfast. I truly believe it’s the most important meal of the day and studies have consistently shown that breakfast eaters tend to weigh less than breakfast skippers. This could be because skipping breakfast makes you hungrier and more likely to overeat later in the day. Listen to your body. Try to check in with your hunger. If you are hungry eat. If not, wait until you start to feel some hunger. Don’t wait until you are starving to start eating, as you will be more likely to reach for high sugar/more processed foods and to over eat. Eat until you are satisfied, not stuffed. Plan ahead. Think about what you want to make for your meals during the week and make sure you have the food on hand. I know that if I leave work hungry and with no dinner plan I’m not going to have the patience to go to the store and cook something healthy. I’m doing take out. Same with snacks. Bring your own snacks to work so that you don’t have to rely on the office donuts for a mid afternoon pick me up. Drink up. Water that is. Thirst is often mistaken for hunger. Make sure you are meeting your fluid needs. Not sure if you are? Hint: your urine should be a very pale yellow. Know when to use sports nutrition products. Sports drinks, energy gels, and protein shakes are all great when used appropriately. But if you are drinking Gatorade throughout the day or eating gels on 45 minute runs you are taking in more sugar and calories than you need to be. Be safe. DO NOT use diet pills, laxatives, diuretics, or any other weight loss aid. Period. Don’t weigh yourself more than once a day. Don’t even weigh every day if you can help it. 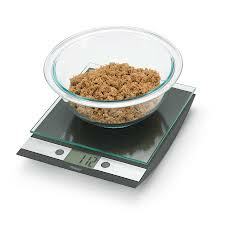 Your weight will fluctuate naturally from day to day and seeing those fluctuations may just psych you out. It’s more important to look at overall trends, taken into consideration with body fat percentage, than daily numbers. Be realistic. Set small and slow weight loss goals. If you lose too much weight or lose it too quickly you will sacrifice your performance. You shouldn’t lose more than 1-2 pounds/week. You might not lose any weight one week, and that’s okay too-it doesn’t mean you need to lose more the next. Monitor your sports performance as you lose. You may not need to lose as much as you think to hit those time goals. You may also need to accept that your body may be built a certain way, and to change that may involve extreme deprivation or excessive exercise. If you find that you have to cut your intake to the point of starving to drop weight your body is telling you something. Listen to it. Train right. As I mentioned above, to some extent your body will adapt and change naturally in response to your training. Be patient with this process. Try to focus more on your training then your weight. Don’t try to lose weight during the middle of your racing season. Your performance will likely suffer if you do so. The off season and pre-season are actually the best time to tackle weight loss goals. This entry was posted in Exercise/Training, General Health, Sports Nutrition, Uncategorized and tagged healthy weight loss, racing weight, Weight loss. Bookmark the permalink.